​Troubadour Theatre Collective is excited to announce its inaugural Playwrights’ Unit. The TTC Playwrights’ Unit is a program designed to nurture promising playwrights with a particular interest in supporting writers who are living in the London / Middlesex area OR whose work explores themes relevant to the London area and community. The Unit has an emphasis on professional development and the business of being a professional playwright in Canada. a full day Equity workshop with professional actors and director, culminating in a public staged reading of the script in November 2018. Participants will be supported, challenged and guided with sensitivity and care throughout their creative process toward the completion of a full draft. Jade Walker is an actress, writer and playwright from London Ontario. She completed the two week intensive acting course at VADA. She played Laura in Tyler Graham’s play “Swallow” at The Art’s Project in 2016 and is a member of Tinkerpace Theatre Company. She has completed two full sessions of on camera acting classes at Pro Actors Lab Stratford with Marvin Hinz and continues to attend classes there. 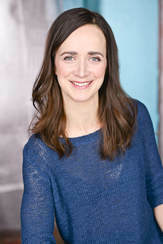 Her play that she wrote titled, “Bruno and Hogginfritz “was chosen to be part of The Grand Theatre’s Playwrights Cabaret and was performed at The McManus Theatre in January 2017. In May 2017 there was a public reading of “Bruno and Hogginfritz” in the upper floor studio of The Art’s Project by Tinkerspace Theatre. She will continue to workshop “Bruno and Hogginfritz” with Passionfool Theatre Company in January 2018. She will workshop her play entitled, “A Man In Power” with Tinkerspace Theatre and there will be a public reading of it in May 2018 as part of the Tinkerspace Play Labs. She is a member of Feminista in Hamilton and is currently workshopping an all female cast play that she’s writing for their playwright showcase. With Troubadour Theatre Collective’s Playwrights Unit Jade is developing Bubble Girl/Rory McGriffith's Psychedelic Treehouse. Stefannie Flannigan is a graduate of the Fanshawe College Theatre Program and has been working steadily in the London Theatre scene for the past decade. Since graduating she has worked closely with Tinkerspace, Alvegoroot, Theatre Nemisis and Young Deus Productions, she has also performed at the New York Avant Garde Festival, and with the Alumnae Theatre in Toronto. In 2015 she co-wrote Junk Food Satan for the London Fringe, and is currently working on writing a commissioned play for AlvegoRoot Theatre. Jeff is a playwright, director and actor based in London Ontario. Plays that he has written from local history include Chicken Feather (World War One), Choose, But Choose Wisely (War of 1812), The Donnelly Sideshow and Donnellys After Dark (based on the famous murders of 1880). Other plays include Running Rude(environmental activists in London) and archy and mehitabel (the cockroach and cat characters created by Don Marquis). Jeff has directed for companies in Limerick Ireland, New York, Toronto and London. He directed five of Jayson McDonald’s touring plays, and new scripts by Jason Rip, James Reaney, Peter Desbarats, Christopher Doty, Marion Johnson, Kurt Fitzpatrick and Karie Richards. For fifteen years, Jeff directed ten-minute plays by Londoners for the Grand Theatre’s annual PlayWrights Cabaret. Jeff has performed across Canada and the US with his solo shows archy and mehitabel and The Donnelly Sideshow. He was in Dear Johnny Deere in Blyth, Port Dover, Gananoque, Saskatoon and Calgary. This summer he will appear in a new play in Port Stanley: Buying the Farm. He also performed there in The Drawer Boy and Midnight Madness. Jeff also performs his own songs and is a member of the Celtic band Finnegans Wake. ​​An award-winning actor / director / educator, Charlotte has been working and playing at theatres across Canada for the past twenty years. She recently completed her third season at the Stratford Festival where she was the Associate Director on Bakkhai, and Assistant Director on The Lion the Witch and the Wardrobe and The Taming of the Shrew. Other theatre credits include the Shaw Festival, Canadian Stage, Manitoba Theatre Centre, Neptune Theatre in Halifax, Crow’s, Theatre NorthWest, Thousand Islands Playhouse, Blyth Festival and the Grand Theatre in London. Charlotte is a graduate of both The National Theatre School of Canada and Ecole Philippe Gaulier in Paris, France. She is a passionate educator and has enjoyed being a regular guest teacher in the drama departments of Fanshawe College, Queen’s University, Holland College School for the Performing Arts and the University of PEI. Born and raised in Charlottetown, PEI, Charlotte now makes her home in Stratford, ON. ​Adam works as a director, playwright and dramaturg. Adam is the Founding Artistic Director of AlvegoRoot Theatre Company, which celebrates its 10th Season in 2018. Works he has directed for AlvegoRoot include: Sixty-Seven (playwright), Dominion Day, The Cheese Poet (playwright),The Big Lad, The Angel of Long Point (playwright), Running Rude, Press Cuttings, Colleening (creator), Endgame, Beard, Macbeth, Uncle Vanya and Waiting for Godot. He wrote and performed his solo play Manor Park. Adam played Kenneth in James Reaney's The Easter Egg. Adam is currently studying dramaturgy at York University. Adam is a graduate of Fanshawe's Theatre Arts Acting Program where he played Malvolio in Twelfth Night. Adam also works as an arts journalist, he frequently writes on theatre for several publications including stratfordfestivalreviews.com.